Christina received her DA certification from Everest College in Tacoma, WA. Her favorite part of working for EBOS is when we pray after our morning meetings. In her free time, Christina enjoys church, gym, and spending time with her family. Her favorite Bible verse is Isaiah 41:10. Jennifer graduated from the Dental Assisting Program at Chattanooga State Community College in 2000. She is certified in nitrous oxide monitoring. In her free time she enjoys working on new craft projects, spending time with family and friends, riding motorcycles and being in the outdoors. Her favorite Bible verse is Proverbs 31. 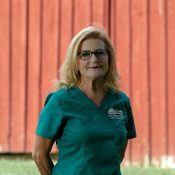 Sandy is an RDA and Surgical Assistant at East Brainerd Oral Surgery. She is a graduate from the Dental Assisting Program at Chattanooga State Community College. 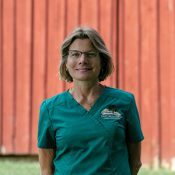 Sandy is certified in radiology, sealants, coronal polishing, and nitrous oxide monitoring. She is currently working to receive an Associate of Applied Science degree. Sandy is proud to be a member of the American Dental Assistant Association. 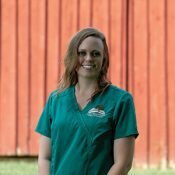 Joanna is an RDA and Surgical Assistant at East Brainerd Oral Surgery. She is a graduate of the University of Tennessee at Chattanooga and has a B.S in Biology and minor in Chemistry. She is a Registered Dental Assistant and certified in Nitrous Oxide Monitoring and an allied staff member of the American Association of Oral and Maxillofacial Surgeons (AAOMS). In her free time, Joanna enjoys traveling, drawing, reading, and brewing a good cup of tea. Rachel is an RDA and Surgical Assistant at East Brainerd Oral Surgery. She received her Associate’s Degree in Allied Health as well as RDA certification at Chattanooga State Community College. Her favorite part about working for East Brainerd Oral Surgery is helping patients to be at ease during dental procedures. In her free time, Rachel likes to go on hikes, ride her bike, and hang out with her friends and family. Emily is East Brainerd Oral Surgery’s Treatment Coordinator. Emily’s favorite part of her job is helping patients get the most from their benefits and understand them. In her free time, Emily participates in a variety of activities that include swimming, cycling, motorcycling, reading, and spending time with family and friends. Alison is East Brainerd Oral Surgery’s Implant Coordinator. She is a graduate of Ooltewah High School and Miller-Motte College’s Dental Assisting Program. She says her favorite part of East Brainerd Oral Surgery’s office is the friendship with all of the team members. In her free time, Alison enjoys spending time with her family. Their favorite activities are being outside and having movie nights. Amanda is a graduate of the Chattanooga State Community College’s Dental Assisting program. She is one of the surgical assistants at East Brainerd Oral Surgery. Her favorite part of working with East Brainerd Oral Surgery is how much the staff feels like a family. “We work really well together when it comes to taking care of our patients,” she says. Leslie has a Bachelor of Science degree from the University of Southern Mississippi. Her favorite part about being employed at EBOS is working for 3 oral surgeons who are not only MDs, but Air Force Veterans. “It’s fulfilling to know their experiences and credentials enable them to provide the best possible patient care.” she says. In her free time she enjoys running, cooking, and spending time with family and friends. 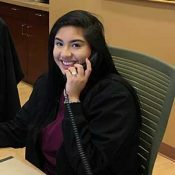 Deya is East Brainerd Oral Surgery’s Scheduling Coordinator. Before she came to East Brainerd Oral Surgery, she studied Child Development at Harper College in Chicago, Illinois. She says she appreciates how “we treat each other like family” at East Brainerd Oral Surgery. Dr. Karl Meyer received his undergraduate degree from Northern Illinois University in 1983. Upon graduation in 1987 from Northwestern University Dental School in Chicago, Illinois, he received a direct commission into the Air Force. He completed a one-year General Practice Residency at Chanute Air Force Base, Illinois. Dr. Meyer served as a general dentist at Dyess Air Force Base in Abilene, Texas for four years before entering residency training in Oral & Maxillofacial Surgery (OMS) at Wilford Hall Medical Center, San Antonio, Texas. While in the OMS residency, Dr. Meyer graduated from medical school at the University of Texas Health Science Center, San Antonio, and received a medical degree in 1998. He received certificates of completion for a General Surgery Internship in 1999, and the Oral and Maxillofacial Surgery Residency in 2000. Lieutenant Colonel Meyer was assigned to Osan Air Base, Republic of Korea for one year, then moved to Eglin Air Force Base, Florida. Dr. Meyer was promoted to Colonel while at Eglin AFB. His 23-year miltary career included two tours in Korea and a voluntary humanitarian mission in Suriname, to treat an under-served population. His military career culminated in 2010 as the Director of Education in Oral & Maxillofacial Surgery for General Dentistry, and senior teaching staff at Wilford Hall USAF Medical Center, Lackland AFB, Texas. He is a member of the American Association of Oral & Maxillofacial Surgeons. Dr. Meyer is married to Francesca Hsin, from Portland, Oregon. She is a graduate of Oregon State University, and University of Texas Health Science Center School of Pharmacy. The Meyers have one daughter. Dr. Ricky Johnson retired from the U.S. Air Force in 2014, and returned to the state he calls home. 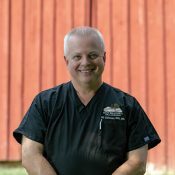 He grew up in Dickson, Tennessee, earned his undergraduate degree from David Lipscomb College in 1985, and graduated first in his dental school class at the University of Tennessee Health Science Center, Memphis, in 1991. In the Air Force, Dr. Johnson served as a general dentist at Scott Air Force Base, Illinois and Altus Air Force Base, Oklahoma, prior to entering residency in the Oral & Maxillofacial Surgery (OMS) at Wilford Hall Medical Center, San Antonio, Texas. While in the OMS residency, Dr. Johnson graduated from medical school at the University of Texas Health Science Center, San Antonio, and received a medical degree in 1999. He received certificates of completion for a General Surgery Internship in 2000, and the Oral and Maxillofacial Surgery Residency in 2001. Upon completion of his residency, Dr. Johnson was assigned to Kadena Air Base in Japan for one year, then Sheppard Air Force Base, Texas for four years. He returned to Wilford Hall Medical Center in San Antonio, for the final years of his Air Force career. From 2010 until 2014 he wasCommander of the Oral & Maxillofacial Surgery Flight and Chairman/Program Director of the SanAntonio Military Oral & Maxillofacial Surgery Residency Program, at Joint Base San Antonio-Lackland Air Force Base, Texas, as well as Military Consultant to the Air Force Surgeon General for Oral and Maxillofacial Surgery. 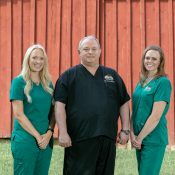 Dr. Johnson met and married his wife Kim, while living in Murfreesboro before attending dental school. They have two children, April and Steven. Outside the office, Dr. Johnson enjoys outdoor activities, hunting, fishing, boating, and college football. He anticipates becoming active in the local American Legion and finding a church family. 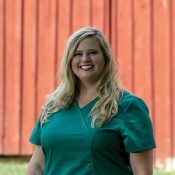 Jenny is a 2008 graduate of Chattanooga State Technical Community College, and the dental assisting program. She is certified in radiology, sealants, and nitrous oxide monitoring. She is also a graduate of East Tennessee State University in 2010, where she received her Bachelor of Science in Public Health, concentration in community health and a minor in nutrition. 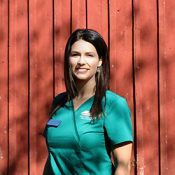 Jenny is a Basic Life Support (BLS) CPR certified instructor and enjoys providing patient education as well as dental education to offices in CPR as well as sterilization and infection control. 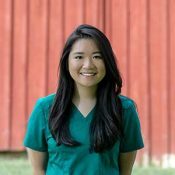 Jenny enjoys greeting patients with a warm smile and providing assistance and care to meet the patient’s needs. 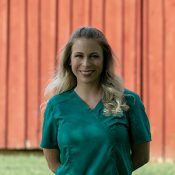 Jenny is a member of the American Dental Assistant Association (ADAA), Tennessee Dental Assistant Association (TDAA), Alpha Phi Omega, and an AlliedStaff member of American Association of Oral & Maxillofacial Surgeons (AAOMS). Jenny was born and raised in Etowah, TN where she graduated from McMinn Central High School in 2004, and currently resides in Chattanooga, TN. During her free time, she enjoys playing the piano, reading, traveling, being out on the lake, and spending time with her family. She married Robby in May 2011. Leslie works part-time here at East Brainerd Oral Surgery. She has been with the practice since July 2015. 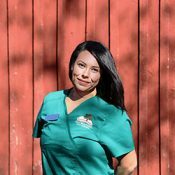 Leslie is certified in Radiology and Nitrous Oxide Monitoring. She loves being a part of our team and has a grateful heart for helping others. Leslie grew up in Maryville, TN before moving to Chattanooga. She is happily married and has two boys. Leslie enjoys being outdoors, spending time with family and friends, and supporting her boys in all of their sportings activates. 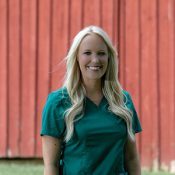 Kristen is a graduate of Miller-Motte Technical College where she received her certification as a Registered Dental Assistant. She is an Allied Staff Member of AAOMS and a member of the ADAA. “I am so blessed to work for such wonderful physicians and office staff! I truly love my job and what I do!” Kristen wishes to continue to expand her knowledge with continuing education. Kristen lives in Chattanooga with her husband and two children. Her hobbies include spending time with family, being outdoors, watching movies, playing games, and Tennessee Football! 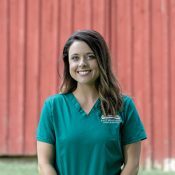 Abby is a graduate of Ooltewah High School and the Dental Assisting Program at Chattanooga State Community College. She is certified in radiology, sealants, monitoring nitrous oxide, and coronal polishing. Abby is also an Allied Staff member of American Association of Oral and Maxillofacial Surgeons (AAOMS). 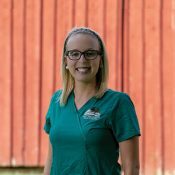 Abby is very excited to be a part of the EBOS team and loves the quality of care we give our patients. Raised in Chattanooga, Abby loves sports and attending Vols games, Titans football games, and Braves baseball games. She enjoys spending time with her husband, fur baby Molly, friends and family. “I love the career field I have chosen and wouldn’t want to be anywhere else!” Her favorite Bible verse is Philippians 4:13. Caitlin is a graduate of Central High School in Chattanooga. She is a graduate of Medical Assistant school and has over five years experience assisting with minor surgeries, dermatology experience, pediatrics and plastic surgery. Caitlin is always up for gaining new experience. 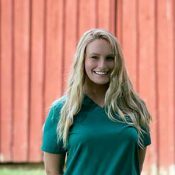 Caitlin started her career at EBOS as an administrative assistant, and was the smiling face that greeted our patients at the front desk, and in 2014, completed her RDA training, and is now one of the smiling faces that greets our patients in the back! Carrington is a graduate of Ooltewah High School and the Dental Assisting Program at Chattanooga State. She is certified in Radiology, Nitrous Oxide Monitoring, Sealants, and Coronal Polishing. She is a member of the American Dental Assistant Association (ADAA) and is an Allied Staff member of American Association of Oral and Maxillofacial Surgeons (AAOMS). She is a surgical assistant, but also fills in at the front desk on occasion. Carrington looks forward to furthering her education in the healthcare field. “I love coming to work every day and taking care of so many patients! Seeing a smile on their faces puts an even bigger smile on mine. I love that we are a faith based practice and pray over our patients, staff, and doctors every morning,” she says. She is excited to be a part of the East Brainerd Oral Surgery team. Born and raised in Chattanooga, Carrington enjoys traveling, cooking, hiking, attending UT Volunteer events, GBO! and being on the lake and spending time with her husband, family, friends, and three fur babies. Her favorite Bible verse is John 14:2-3. Kim has over 20 years of experience in Oral Surgery and over 25 years of experience in insurance and financial coordination. 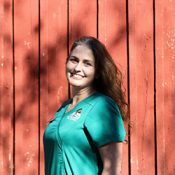 She is an Allied Staff Member of AAOMS, an AADOM National Member, and Treasurer for the local Tennessee Valley Chapter. Kim has attended various continuing education courses which include insurance, billing, and coding to stay up to date with current practices. As financial coordinator, Kim works with each patient on an individual basis so that they can get the best benefit from their insurance company and other financial means for their surgical needs. Kim enjoys attending sporting events, especially the TN Vols, and Atlanta Braves. Her favorite Bible verse is John 3:16. Lori attended the Dental Assistant program at the University of Florida. 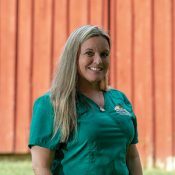 She worked for a general dentist in her hometown of Winter Haven, for thirteen years, as a registered dental assistant. She is an Allied Staff member of American Association of Oral and Maxillofacial Surgeons (AAOMS). Her favorite part of working for East Brainerd Oral Surgery is the appreciation of all the doctors and the staff. Lori is our sterilization expert and keeps a ready smile for everyone! Stephanie is a graduate of East Ridge High School and the Dental Assisting program at Chattanooga State Community College. 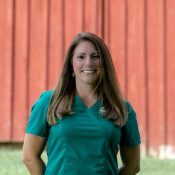 She is certified in radiology, nitrous oxide monitoring, and received certification in dental assisting from the Dental Assisting National Board in 2005. She also received an Associate of Applied Science degree in Health Services Management from Chattanooga State, and graduated from their EMT program in May 2011. She is a member of the American Dental Assistant Association (ADAA) and is an allied staff member of AAOMS, and truly loves what she does. 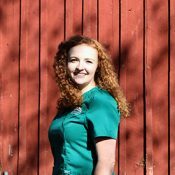 “I have always had a passion for oral surgery and truly feel blessed to work with such wonderful people that help me enjoy it even more every day.” One of her favorite aspects of her job is interacting with patients and helping them to feel more comfortable when they are anxious about their surgery. During her free time, she enjoys reading, spending time with her family and fur babies, and watching movies. 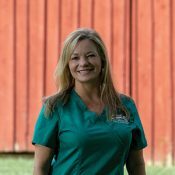 Jenny is a graduate of Bradley Central High School in Cleveland, TN and the Oral & Maxillofacial Surgery Anesthesia Assistant Program in May 1989. She completed certification by the Southern California Society of Oral and Maxillofacial Surgeons and became a full fledged Oral Surgery Assistant. She has over 35 years of experience assisting in oral surgery and IV sedation and has continued to further educate herself over the years through many local seminars and community events. 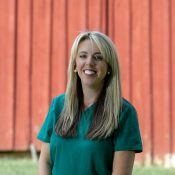 Jenny is certified in Nitrous Oxide Monitoring through the State of Tennessee. She is a current member of the American Dental Assistant Association (ADAA), the Tennessee Dental Assistant Association (TDAA), and an Allied Staff member of American Association of Oral & Maxillofacial Surgeons (AAOMS). Jenny enjoys being in the dental field and after 35 years still loves coming to work! 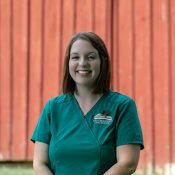 “I try to put my patients at ease and thoroughly explain what procedures are being done because this can be an apprehensive time for them.” She is excited about being a part of the East Brainerd Oral Surgery family.